With only three days left of National Baking Week, it’s time to start whipping, whisking…and (most importantly) conjuring up some extreme-decoration concepts. 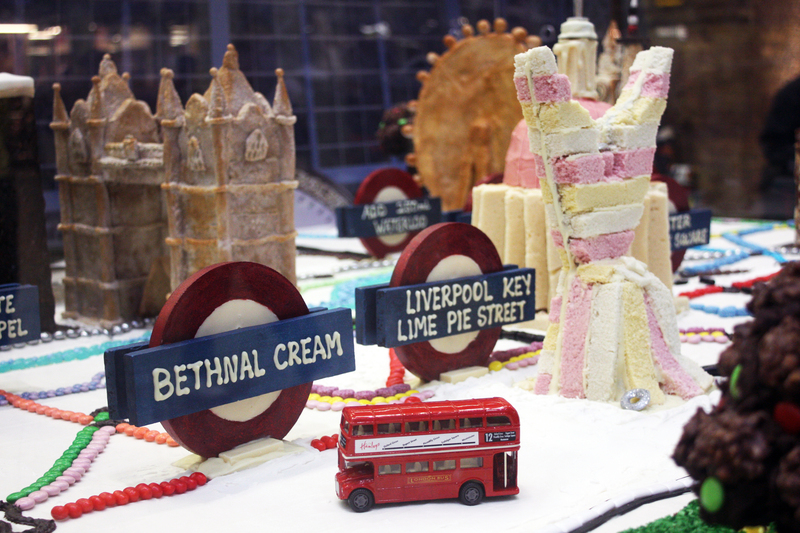 To get you inspired, here are some shots of a cake that I stumbled across in St Pancras Station yesterday. 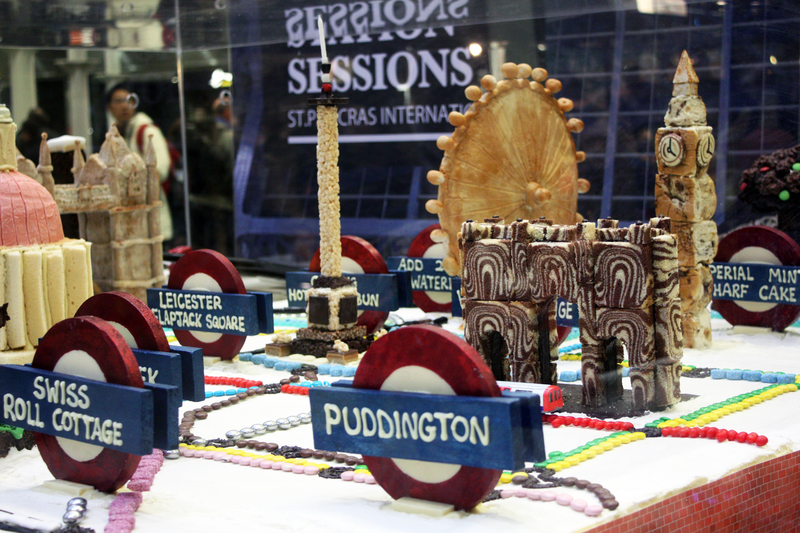 The seven foot extravaganza maps out London with coloured Smartie tube lines, sponge landmarks, and pudding-themed stations such as Swiss Roll Cottage and Victoria Sponge. Admirable British eccentricity demonstrated through the medium of bakery—wonderful.